Family Law Express has had the privilege to interview a Brisbane-based psychologist, Dr. Travis Gee, on his views of the psychology industry within the context of Family Law. 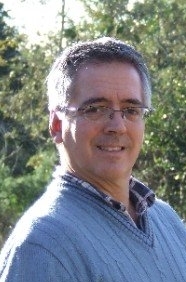 Dr. Travis Gee is an Honorary Life Member of the Australian Counselling Association, of which he is an Executive Board member. Dr. Gee is currently in private practice. Dr. Gee extensive and broad experience has included him teaching in universities in both Australia and his native Canada, and he has prepared independent reports in criminal cases involving so-called ‘repressed memories,’ as well as family reports and critiques in Family Law and Child Protection matters. Dr. Gee’s university work includes research on disability and rehabilitation, chronic disease self-management and recovery from brain damage. His personal research has largely focused on understanding the way people manage daily life, particularly divorced and separated parents. Dr. Gee’s practice has fallen largely into these areas, where he balances a scientist-practitioner approach to counselling with the need to understand and engage each client on his or her own terms. Family Law Express would like to thank Professor Ian R. Coyle of Bond University, Deakin University, Southern Queensland University and La Trobe University, for his editorial assistance during the drafting, proof-reading and review process on the transcript for the interview questions and responses. In short: Should Children Be Interviewed for Family Reports? In short: How do Psychologists view the legal definition of family violence? In Short: How do Psychologists reconcile Shared Parenting & the potential Risks of Family Violence? In Short: How do Psychologists reconcile the potential risks of transient tensions and disputes typically experienced by separating couples, and genuinely entrenched conflict that can lead to seriously threatening Family Violence? 4. The 2011 amendments to the Family Law Act have created an in-built presumption that any form of historical family abuse, regardless of its nature or form, severity, duration or in some cases regardless of it even objectively occurring, is nevertheless all that is required to rebut the presumption of equal shared parental responsibility (s61DA) by the Court, and as a result can potentially cease contact between one of the parents and the child/ren. However, the Australian Institute of Family Studies has concluded that 55% of mothers and 50% of fathers who had reported some form of historical emotionally abuse by their ex-partners presented as co-operative and friendly during interview. However, in situations where parties had current safety concerns for the child and for themselves, there was a tendency that the alleged party will be reported as abusive or violent [Kaspiew et al., 2009]. This produces issues in assessing arrangements for child/ren in such circumstances and in producing a appropriate family report. In Short: Do Psychologists experience complications in balancing out the two primary considerations in the act of a child’s best interests and the requirement for regular contact with both parents? In Short: In cases where there was no previous in-tact family, do Psychologists place the same weight on a child’s rights to meaningful contact with both parents, when such contact didn’t exist prior to the separation? In Short: How precisely do family reports gain insights into a family dynamic given the remarkably short time available for observation and interviews? In Short: Do you have suggestions on how to more accurately capture the reality of a family dynamic via the family report? How do family reports gain insights into a family dynamic given the short time available? How can we more accurately capture the reality of a family dynamic? Valerie is a Bachelor of Business Bachelor of Laws student at the University of Technology Sydney, majoring in International Business. Upon graduating, she plans to work in areas of family law and international human rights law, as well as an interest in international business law and commercial law. She volunteers as an interpreter for clients at a refugee case services.